Don't let the name of the Wild Coast put you under a wrong impression. 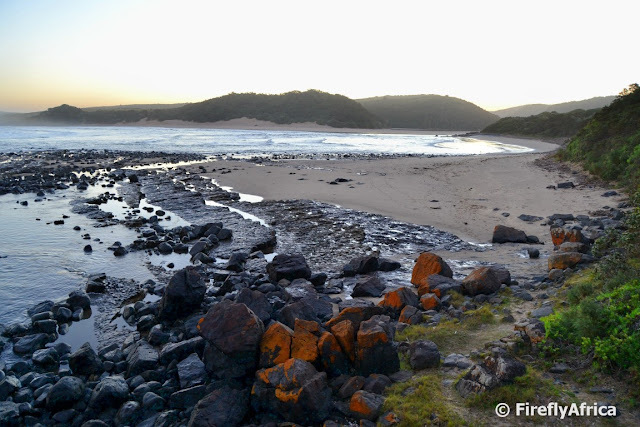 The Wild Coast isn't all rough and tumble with storms and shipwrecks. 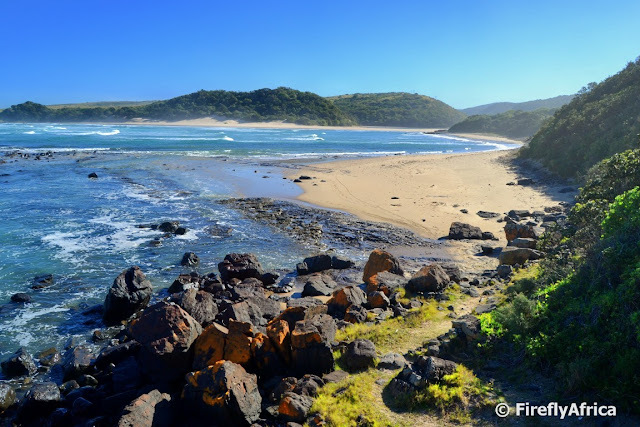 It's also a place of beauty, untouched pieces of coastline, stunning river mouths, beautiful beaches, villages on rolling hills overlooking the sea and Nguni cattle on the beach. I really wish I had the opportunity and time to go and visit it more often to see more of it than the two or three days I year I'm getting to do at the moment. 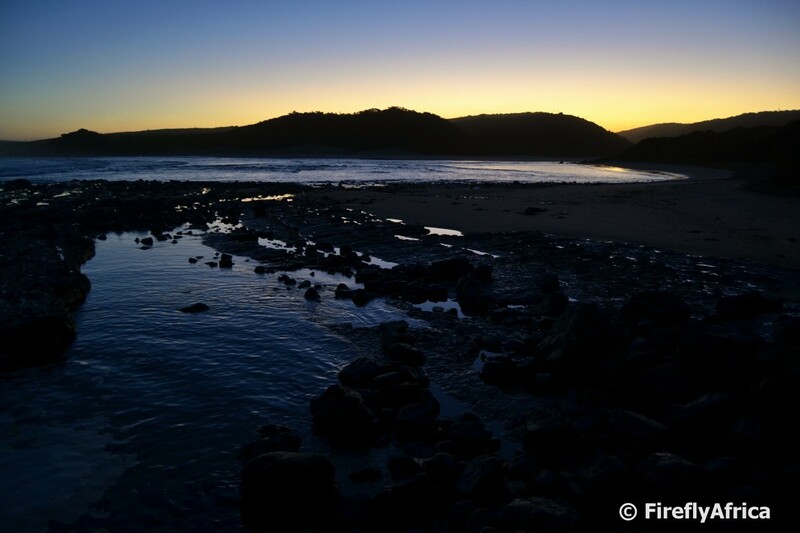 A month or so ago I got to spend a night at Kob Inn next to the Qora River mouth. 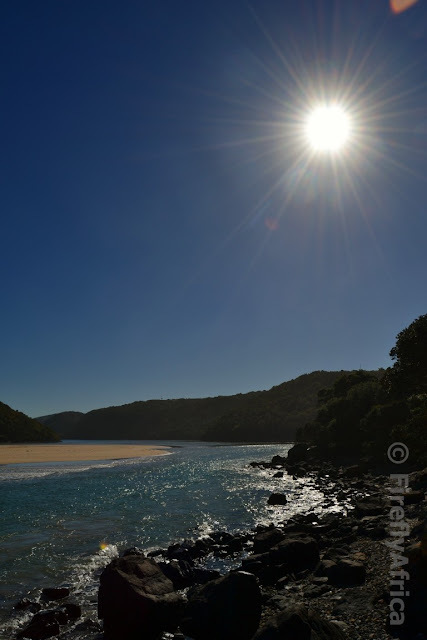 The first thing I did after checking in and dropping my bag in the room was to grab my camera and head for the river mouth. What a spot! ... the one I got was stunning nevertheless. Road tripping bring you the possibility of many memorable things. 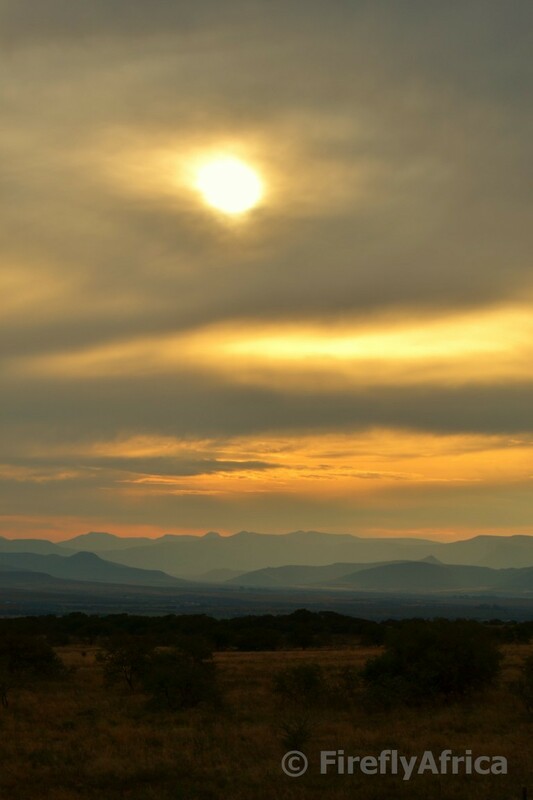 Beautiful destinations, interesting people, scrumptious food, fascinating places and, in this case, a beautiful Karoo Heartland sunset. 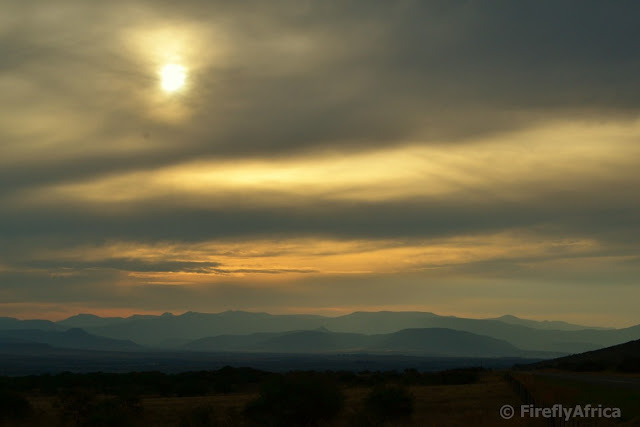 Although it was probably still another hour before sunset, the sun heading for the distant mountains through hazy skies made for a sight beautiful enough to make me pull over on my drive to Cradock. This is why I go nowhere without my camera. 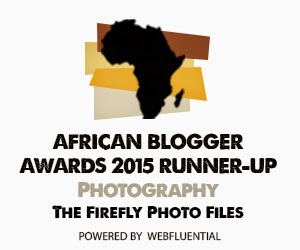 "How about a weekend in Umhlanga with the Damselfly?" So the email I received from the InterContinental Hotels Group didn't quite say that, but it could just as well have. 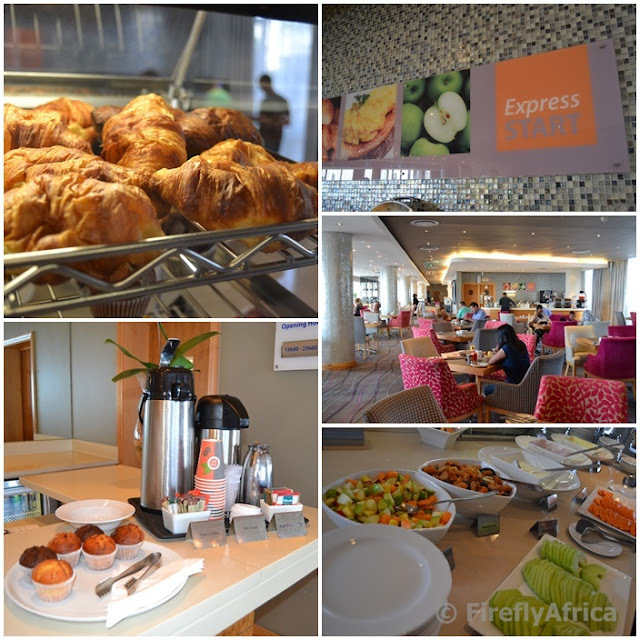 A weekend at any of their South African hotels and I got to choose which one. 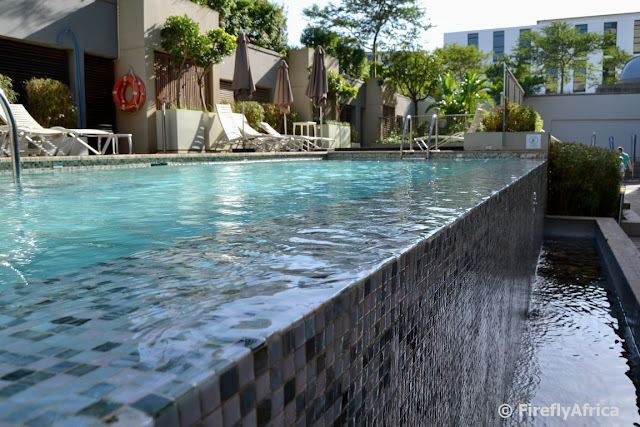 I could have chosen the luxury Intercontinental Johannesburg Sandton Towers or any of their other hotels in Jozi, Cape Town and Pretoria, but we decided on the Holiday Inn Express in Umhlanga. Firstly because of the destination and secondly because I have never stayed in a Holiday Inn Express before and wanted to know what it was like. And disappointed we definitely weren't. We got picked up at the King Shaka International Airport, got delivered to the hotel's front door and from the moment we walked in it was smiles and great service all the way. The ladies at reception welcomed us with open arms and checked us in while asking about our flight and if we had been to Umhlanga before. In no time all the necessary admin was done while we were also signed up for the IHG Rewards program. Not just do they offer great benefits to regular guests, but you also get additional Wi-Fi vouchers which meant we could connect both our phones and the laptop to upload photos over the weekend. After a quick chat to the hotel manager who came past while we were busy it was time to go and check out the room. I don't know why but I always had an impression that the Holiday Inn Express was some kind of budget hotel where you have to push yourself flat against the wall when you're partner wanted to pass you or where you had to stand on the toilet to be able to close the bathroom door. It was anything but. We had a spacious room waiting for us with, big enough to also have a couch next to the bed (not that I needed it over the weekend being in the Damselfly's good books and all), a coffee making station and a bathroom bigger than what I always imagined the rooms were. What a surprise! Just shows when you have ignorant preconceived perceptions about places. Not just did we have a big room but also one with a sea view and a balcony. Ha! VIP treatment bonus. Unfortunately the PE wind followed us to Durbs so we didn't spend a lot of time out on the balcony though. 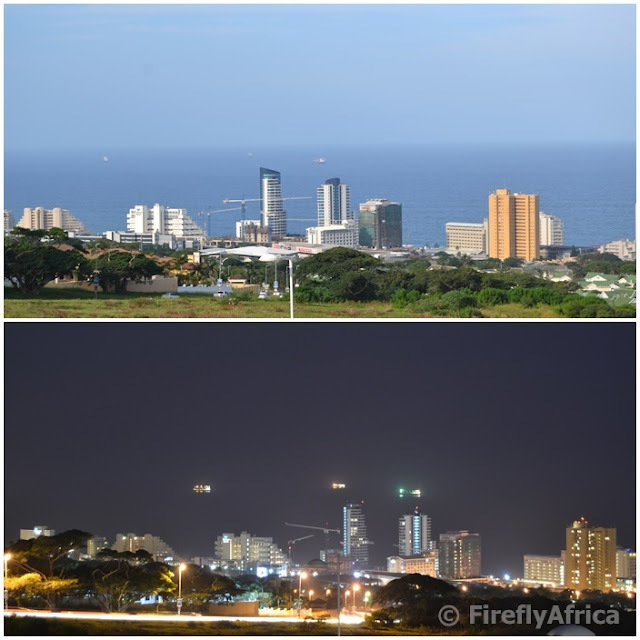 Umhlanga is divided into two areas. Umhlanga Beach and Umhlanga Ridge. The hotel is located up on the edge of the ridge which means that you're not quite on the beach itself, but rather about a kilometer or two up the road. 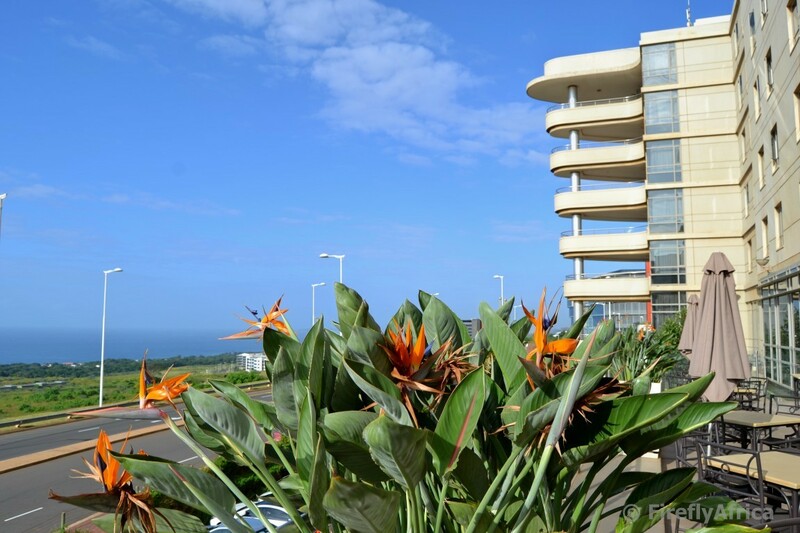 It does mean that the hotel has a killer view of Umhlanga Rocks below as well as the whole coastline all the way to Durban. 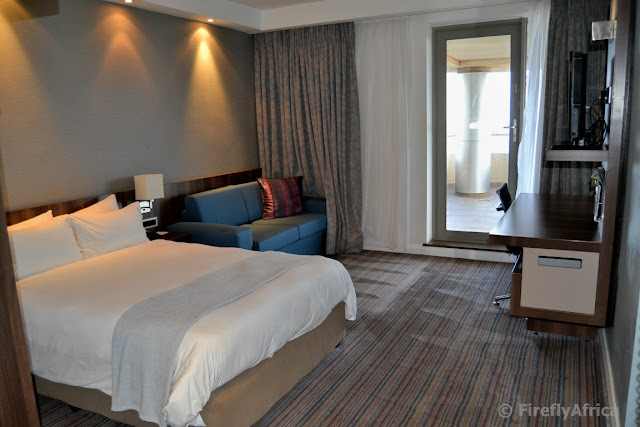 It also means that it's a lot cheaper than the ultra expensive hotels right on the Umhlanga beach (making this no ministerial R11 000 a night visit), making it a lot more affordable to visit this popular coastal destination. What really counts in your favour as well is that the hotel has a local taxi company they use with whom you can bill your taxi fare back to your room. It means you can head down to the beach for a walk and leave your wallet in the hotel safe. Breakfast, included in the room rate, is served in the Great Room and includes the full buffet offer of hot and cold options with coffee and muffins available if you just want a quick snack before heading off to an early meeting or the airport. The first of our two evenings at the hotel we decided to have dinner at the Butcher Block next door. I'm purposely not posting anything about it because I'm doing a totally separate post about it. Why? Because we probably had the best steaks we have ever had. EVER. Another bonus is that you can also bill this back to your room. As we flew into Durban and didn't have a car, we were worried that we may get stuck at the hotel or will have to take a taxi every time we wanted to go anywhere. Other than taking the taxi down to the beach and back, we actually ended up not needing any transport. Gateway Shopping Centre is literally 5 minutes' walk from the hotel and other than crossing one road it's just about a walk in the park. Except you're walking on a sidewalk. We popped up there for a few things Friday afternoon, dinner on Saturday and then again to check out the Sunday market nearby. If the weather played along we would have spent some time next to the hotel's pool as well, but the wind was horrible. Not the hotel's fault though. Actually, the pool is quite sheltered but it was a little too chilly to take my shirt off, not to mention going in the water. All in all the weekend was a rather pleasant surprise. Not just did the Damselfly get to visit Umhlanga for the first time, I actually got reminded, as mentioned before, that preconceived ideas about a place can be very wrong. In this case we got a huge surprise in both the quality and well as the substance of the Holiday Inn Express brand of hotels. 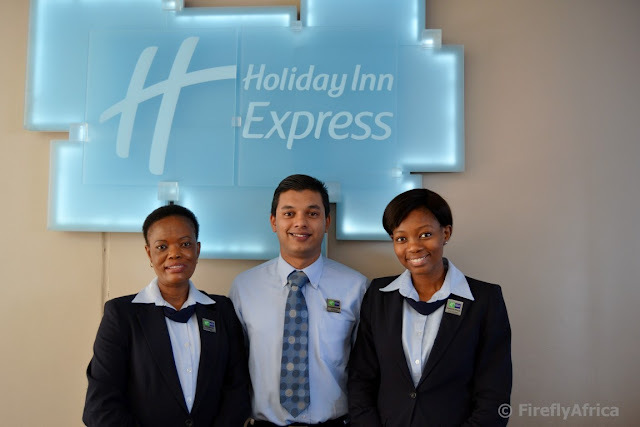 Sponsored trip or not, I can definitely recommend the Holiday Inn Express hotels for anybody looking for something just below the top of the range type places with what the hotel didn't have in luxury it definitely made up for in friendliness, service and location. A couple of months ago on a road trip to Johannesburg I detoured through the town of Kroonstad in the Northern Free State to stretch my legs and... well... you know... find a geocache or two. One of the caches I was after is located at a holiday resort called Jukskei Park and on arrival I found cars parked everywhere. The resort plays host to the South African Jukskei Championships every year and I picked the week of the tournament to swing by. "What is Jukskei?" I hear you ask. Well, Jukskei is an South African folk sport and originated over 270 years ago. Apparently even a forerunner of American Horseshoe Pitching. 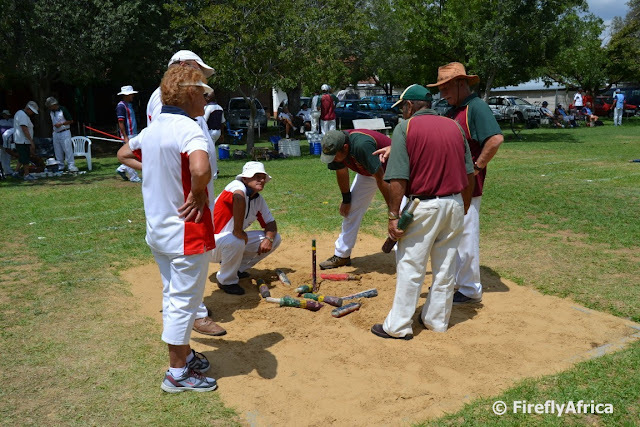 It is believed that Jukskei was first played around 1743 in the Cape when transport riders who traveled by ox-wagons started using the wooden pins of the yokes (Afrikaans: Skei) of the oxen to throw at a stick that was planted into the ground. It is known that the game was also played during the Great Trek. and in later years by farmers from the Boland on beaches during their holidays. 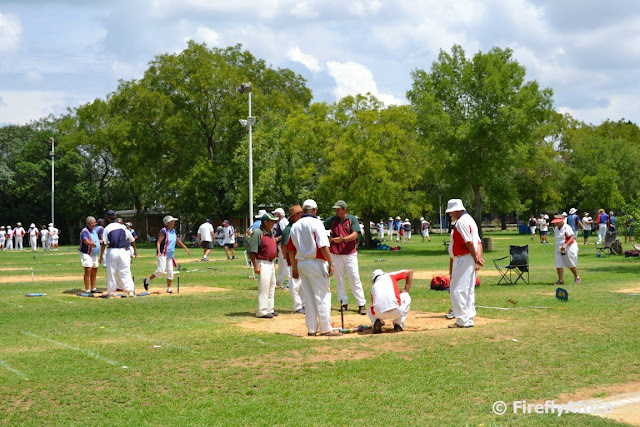 In 1939 Jukskei became an organized sport and rules were formalized. Like in bowls the game is played by teams of four (as well as pairs and singles). The rules and scoring is also very similar but it has a few difference though. 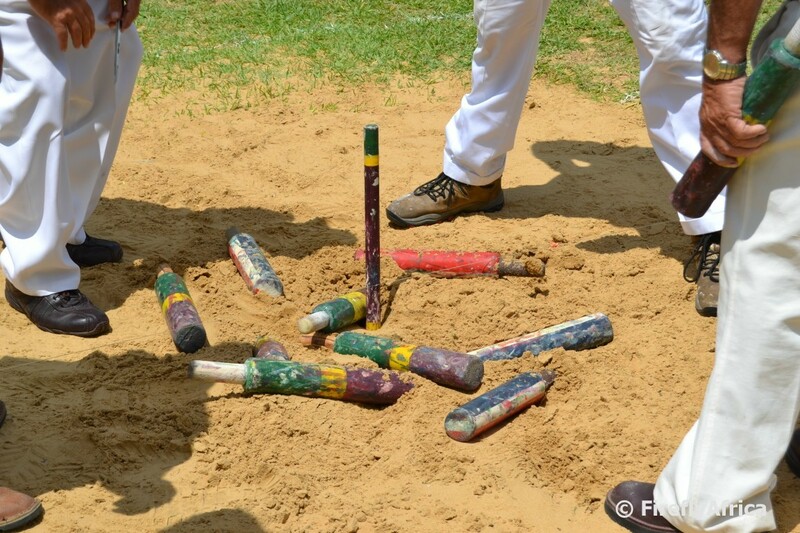 A team gets three points if the peg is knocked over otherwise the team lying closest to the position of the peg, scores as many points as they have skeis closer to the peg than their opponent's closest skei. First team to get exactly 23 points points win the game. But there is a twist. If you get more than 23, then your points revert to 0. 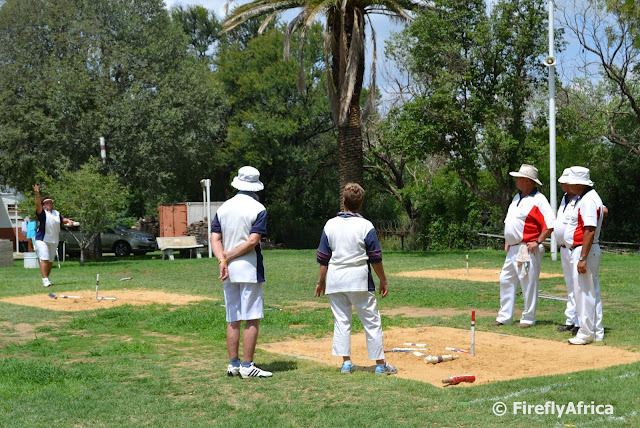 Jukskei is generally associated with White Afrikaners (not that I've ever played), but in the areas where it is played it is gaining popularity with people of all races and cultures. I'm not too sure if I've ever seen it played here in Port Elizabeth, but perhaps I should find out and go and give it a throw... I mean go. 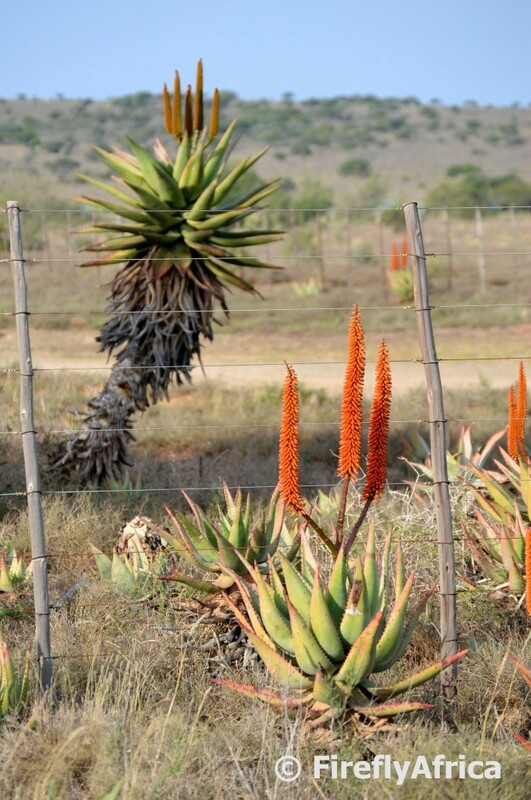 One of my favorite things about this time of the year (early winter) is the fact that the aloes are in bloom. 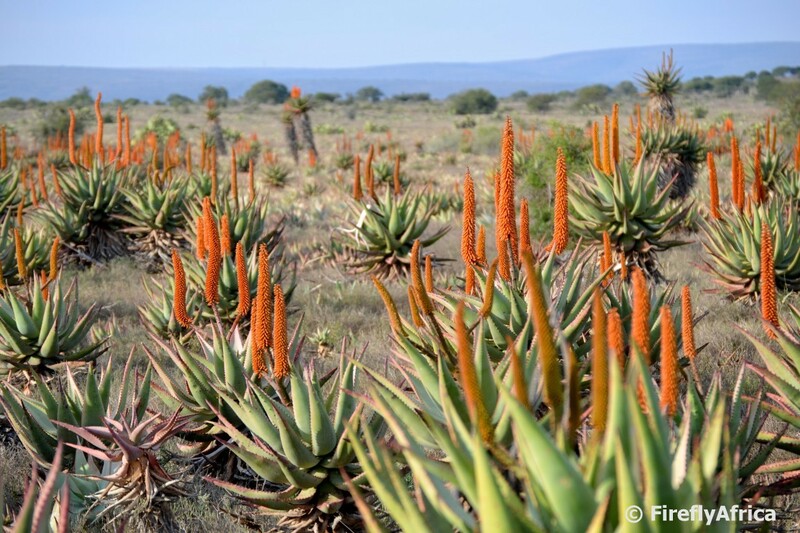 A little road trip through the Karoo Heartland had me stop once or twice to snap a few pictures, but mostly I just enjoyed the sight of them next to the road. A lot of the flowers are just starting to open up so give it another week or two three and they will be blooming in all their glory. The Wild Coast is famous for it's beautiful and rugged coastline and one of my favorite aspects of it is all the rivers that flow through the area and into the sea. I got to discover another one for myself when I stayed at Kob Inn recently. The Qora River Mouth is located only two or three hundred meters south of the hotel. To cross the river you have to make use of a local in his boat and unfortunately I got there a little late and he was gone already. So I had to be content with this view and not being able to get to the big beach and sand banks on the other side to explore. On my last visit to Cape Town I had to make a stop in Noordhoek and returned to Cape Town via Fish Hoek and Boyes Drive. 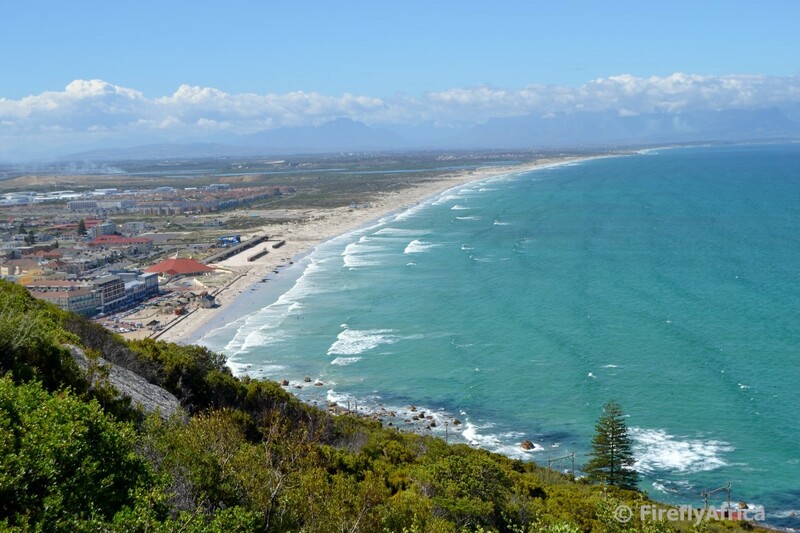 At the top of Boys Drive I pulled over to enjoy the view of Muizenberg Beach from the lookout where one of the shark spotters is based. The Shark Spotting Programme is the only program of its kind in the world. Cape Town has, over the last few years, experienced an increase in the number of great white sharks sighted in the in-shore zone. 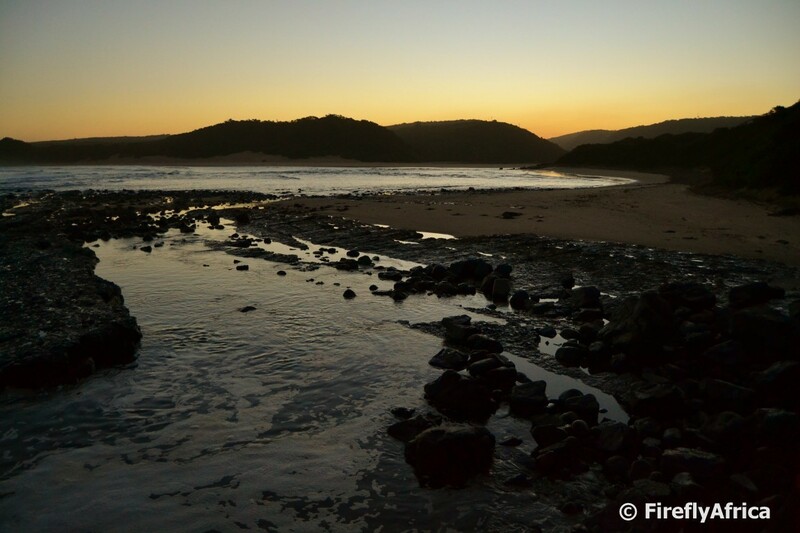 In response to these events and the increased fear by water users, particularly in False Bay, two community driven programmes were started out of a need to improve the safety of recreational water users. The amalgamation of these two initiatives resulted in the Shark Spotters programme. How it works is that Shark Spotters are positioned at strategic points along the False Bay coastline. 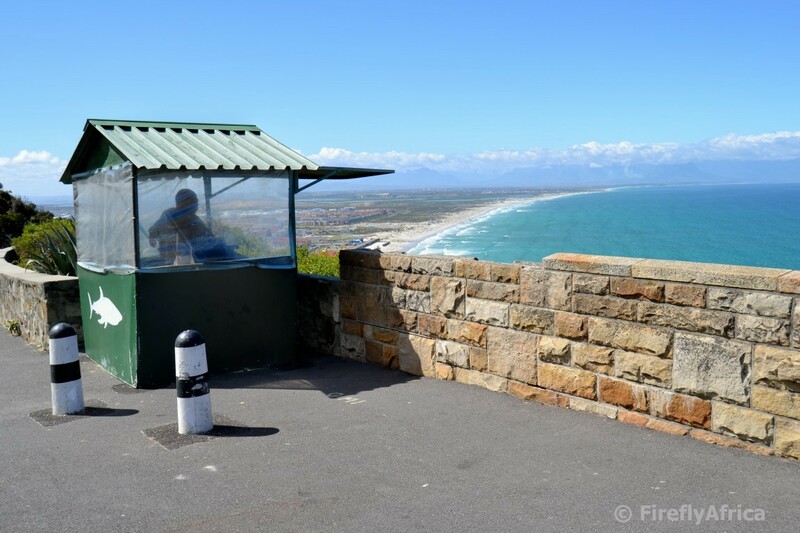 A spotter, like the one on this particular lookout, is placed on the mountain with polarised sunglasses and binoculars. This spotter is in radio contact with another spotter on the beach. If a shark is seen the beach spotter sounds a siren and raises a white flag with a black shark. When the siren sounds the water users are requested to leave the water and only return when the appropriate all clear signal is given. He wasn't doing any jumping around while peering out over the edge with his hands above his eyes so it didn't seem like there were any sharks close inshore anywhere. I peered down along the coastline anyway and thought to myself that these guys obviously know just what to look for what with all the waves, cloud shadows, surfers and pieces of floating sea bamboo around.